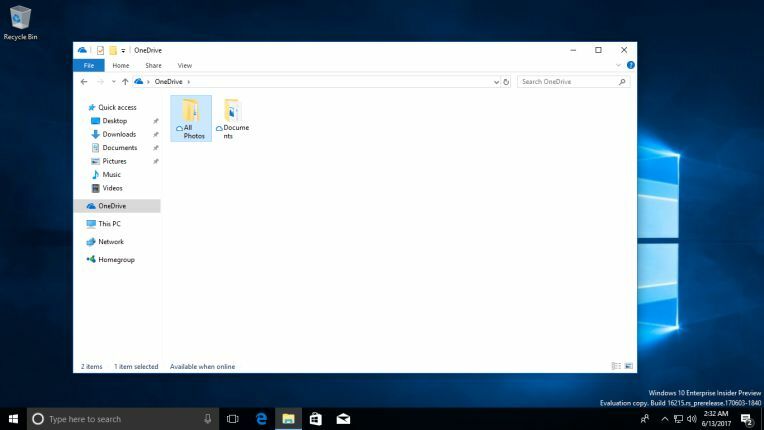 OneDrive 17.3.6931.0609 leaked online which brings Files on-demand for Windows 10. WalkingCat today posted information and the link to the file. However, the new feature is currently available for fast ring insiders only. Files On-Demand helps you access all your files in OneDrive without having to download all of them and use storage space on your device. Set files and folders to be always available locally on your device. Save space on your device by making files only accessible online. See important information about files, such as whether they are shared or what they look like. OneDrive Files on-demand feature is scheduled to release with the Windows 10 Fall Creators Update. You can download the file from the link below and test new features yourself. You will require Windows 10 Insider build 16215 for OneDrive 17.3.6931.0609. 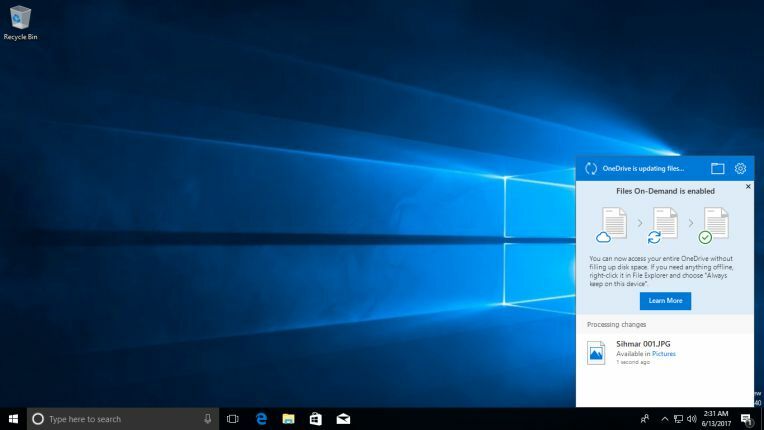 Download Windows 10 build 16215 ISO file from here.